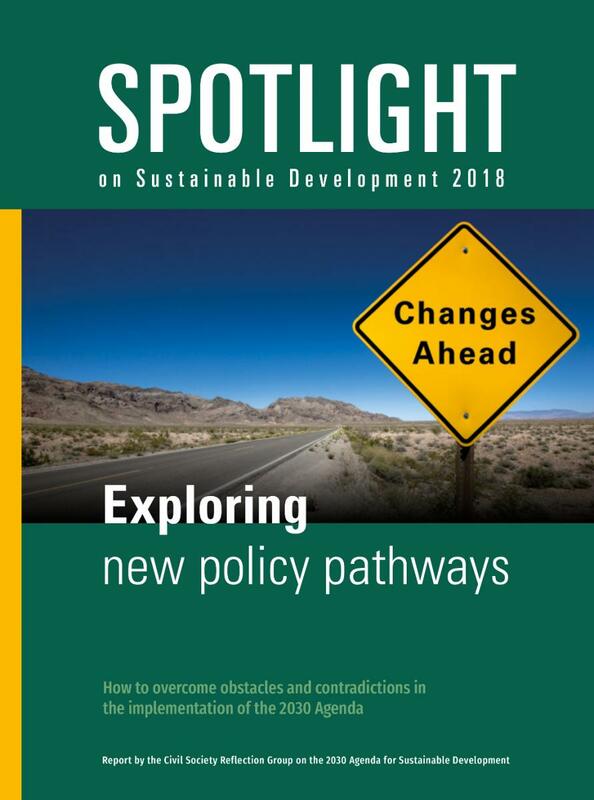 Download Spotlight on Sustainable Development 2018 here. Descarga Spotlight 2018 en español aquí. “The world is off-track in terms of achieving sustainable development and fundamental policy changes are necessary to unleash the transformative potential of the Sustainable Development Goals.” This is the main message of the Spotlight Report 2018, the most comprehensive independent assessment of the implementation of the 2030 Agenda, co-published by six international NGOs and networks including the Center for Economic and Social Rights (CESR). The report was released July 9th, during the 2018 High-Level Political Forum on Sustainable Development (HLPF) in New York. When UN Member States adopted the 2030 Agenda, they signaled with the title “Transforming our World” that it should trigger fundamental changes in politics, policies and society. The agreement also explicitly grounded the commitments in human rights obligations. Yet, the Spotlight report confirms that “three years after its adoption, most governments have failed to turn the vision of the 2030 Agenda into real policies.” The prevailing trends, systems and policy paradigms are contrary to the spirit and targets of the 2030 Agenda, and are indeed those that created the vast inequalities, environmental degradation and human rights deficits that ordinary people are bearing the brunt of now. The Spotlight report is supported by a broad range of civil society organizations and trade unions, and informed by the experiences and analyses of national and regional groups and coalitions from all parts of the world. The contributions cover all the individual SDGs and they take an integrated approach to obstacles and opportunities that cut across the whole Agenda. The Spotlight Report therefore provides an important complement and counterpoint to the official discussions at the UN headquarters.